Today's episode of Investing in Real Estate is sponsored by Purple. Purple is a leading comfort tech company that uses cutting-edge science to create the world’s most comfortable sleep and sit products. Right now, our listeners will get a FREE sheet set and mattress cover with any mattress purchase. Get yours at Purple.com/INVESTING. As a real estate investor, you can expect to receive intimidating letters from the city. It’s inevitable; this is just part of the business! But if you can accept this fact, and be prepared to quickly and efficiently respond to their notices, your business will run smoothly. 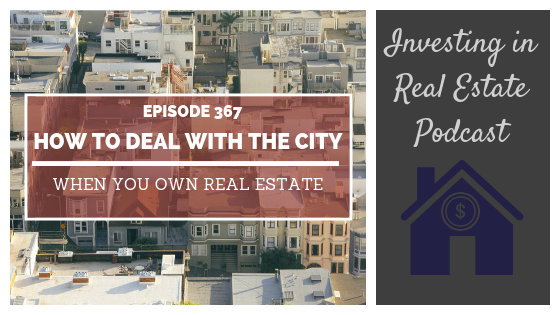 On this episode of Investing in Real Estate, Natali and I are discussing our experience with issues that arise in owning buy and hold real estate. We’ll share six tips you can use to quickly and efficiently deal with the city, especially when you live out of state. The true meaning of passive income, and why it’s not 100% passive. Why it’s important to not get emotional about notices. How to get city fines reduced. The importance of staying level-headed when dealing with the city. How to work with your property management company to keep everything up-to-date. How kindness can help you reach your goals.